A&L Foods has the finest quality products for all your needs. We are a unique, specialty food distributor. A&L Foods is the only distributor on the east coast that can provide any type of customer with all of its kosher food needs; whether it's a chain store needing a complete kosher foods program, or a deli looking for a good pickle. A&L Foods has the answer for any kosher food demand. Although A&L specializes in kosher foods, we have a diversified offering that includes natural, organic, vegan and other ethnic delicacies. A&L Foods is one of the first distributors to offer a complete institutional vegan and organic program for colleges, hospitals, and corporate campuses. A&L has even developed the only "all natural" marshmallow available in the United States. 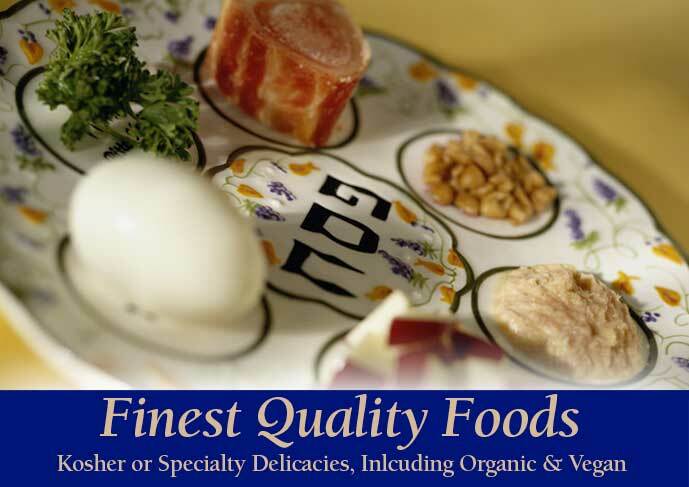 Whether you want kosher, ethnic, vegan, or organic foods for your deli, supermarket chain, or institutional dining hall, A&L Foods has the fine quality and delicious flavor you seek.